These Sacks Are For You! I’m going to be completely upfront about this. When LittleBigPlanet first came out I was stoked. Like Keanu Reeves in The Matrix stoked. I had grand visions of what I was going to create. Grander visions of how I was going to enjoy the game for hours and hours and even more hours still. The great thing about these visions, they came true. I spent meticulous amounts of time creating my one level that consisted of just two enemies, platforms with impossible to reach areas, bubbles galore, prize bubbles, and so many random stickers it looked like my 4 year old was the one who created it. The thing is though I had fun, lots of fun. I was not as good as many of the other creators (thus killing my dream of being a developer) but it didn’t matter. 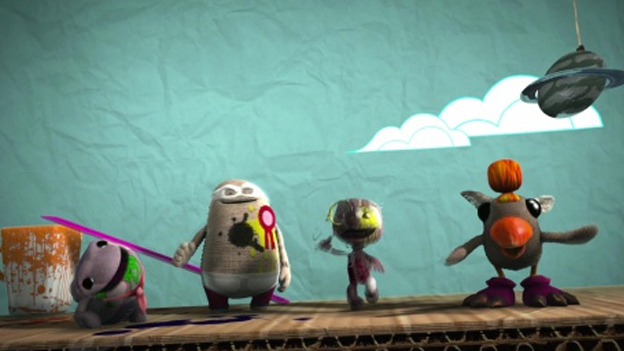 LittleBigPlanet had all of the creativity and imagination I had hoped for and it reminded me why I love gaming. Games are to be fun and imaginative. LittleBigPlanet 2 however, let me down. It felt like a DLC pack more than anything. Sure there were things added to increase the gameplay, but it just didn’t feel like the heart of what made the first so great was in it anymore. In fact, I would sit down to play LBP2 and was genuinely excited each time, but after about 15-30 minutes I was asleep dreaming about what I wished that game could be. With the release of LittleBigPlanet 3 I felt two things about playing it. One, excitement about all the new things being added and excitement about actually getting back into the series I had so much fun with the first time out. Two, fear that I would be taking more naps while playing, instead of actually playing. Either way it was going to be a win-win; after all I do enjoy naps. 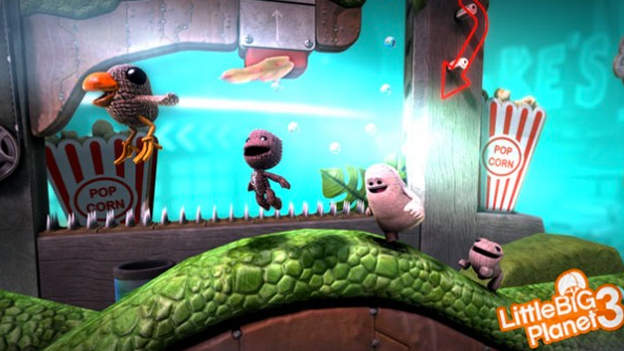 Thankfully, LittleBigPlanet 3 rekindled my love for the series with one of it’s own key ingredients–imagination. 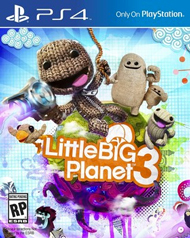 That is the quickest way to say LBP3 is worth you checking out. For the longer answer, please, keep reading. The game opens up with you as a sackperson about to embark on another creative journey, only to be sucked through to another land by a “friend” named Newton. See, in the land of Bunkum there were once these “titans” that sucked out all of the imagination and creativity. Three mysterious heroes appear to help remove them as a threat and return the glorious creativity to the land, but the heroes disappeared after that, never to be seen or heard from again. Newton fears the “titans” are about to be awoken and enlist your help to stop them from destroying Bunkum once more. Just like that, your journey begins, but like any clichéd movie from any era ever, you see the bad guy coming from a million miles away and then you must set out on your own to put a stop to the wretched schemes of the villain. However, you won’t do it alone. It’s after the realization of whom the villain is that you find out how to bring the heroes of old back. It will be up to you to set things right, to save Bunkum, and to be stylishly dressed while doing it. I mean what would a LittleBigPlanet game be without thousands of various outfits for your sackpeople to wear? Even the legendary heroes get some stylish threads to wear, but more on that in a moment. One of the most interesting things I found with LBP3 was the way the levels are presented to you as you journey to awaken the forgotten heroes. While you still have the option to travel through each level the same way you once did, there is also the feel of an open world side scrolling adventure. Let me explain. When you go to awaken Oddsock you enter in the beginning world and it is this cast mega-level, with doors to other levels, various bubbles and obstacles for you to achieve all in this one base level. Oddsock (like the other two) requires you to find three marbles to unlock them as playable characters, but it’s not just three levels layered into the open world aesthetic. You also have time trial races, challenges, and even a shop to buy outfits. The open world levels also offer a form of currency for you to acquire, Collectabells. These are spent (as mentioned earlier) in Zom Zom’s (pronounced Zoom Zoom in a funny accent) fashion shops. Each open world level offers a new Zom Zom shop and with them several new outfits for your sackpeople to wear.